It can often be the theme of a slot machine that will lure you into playing it and as such if you are the type of slot player who does look for some of the more unusual slot machines when you are in a slot playing frame of mind then consider giving the Cherry Blossom slot some play time. This is a slot on which you will find five video reels and spread over their reels are 25 optional pay lines and as you are playing off each spin you are going to have the chance of triggering a bonus game too so read on to find out more about how that bonus game plays and pays too! The payout percentage of the Cherry Blossoms slot game has been certified and this WGS game has also been independently tested and verified as being a completely random game too so you will always get a random and fair outcome when playing it. The Cherry Blossoms slot has a 12,500 coin jackpot, to win that jackpot you need all five of the Geisha symbols to line up on any of the pay lines you have activated, a 2000 coin payout is awarded if you spin in just four Geisha symbols when playing this slot. Three or more of the Blossom symbols must be spun in when you are playing the Cherry Blossoms slot game before you will then get to play off the bonus feature game. Those symbols are scatters so it doesn’t matter where they spin in as long as you get three of them anywhere in view the bonus game will then be triggered. Those Blossom scatter symbols will also pay out a scatter pays payout when you get enough of them in view in addition to anything you win from your free spins. The Cherry Blossoms slot game will award you with 15, 20 or 25 free spins when you trigger the bonus game and a multiplier will also be in play for the duration of your free spins feature too. The free spins can also be re-triggered when playing the bonus game off on the Cherry Blossoms slot game in the same way as it was triggered on the base game. The stakes you were playing the Cherry Blossoms base game will be the same ones that are in play as the free spins bonus game is playing off, and all winnings achieved via the free spins are credited to your casino account at the end of the bonus game feature. 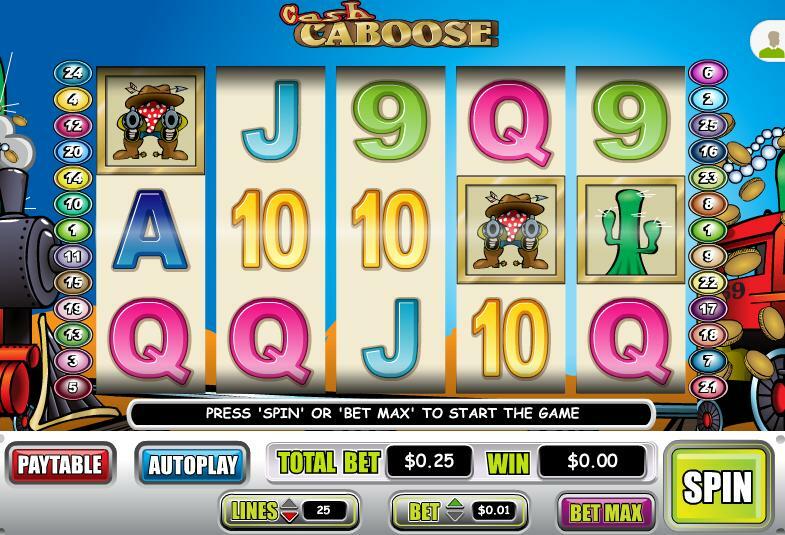 There are lots of ways that you can play slot machines but if you have never played a slot before and you want to know how to play any slot game then always look at the help files and the pay table of each slot for a full overview of how they all play and pay. Once you have a basic understanding of how slot machines work then you can test them out if you choose to play online or on a mobile device for free and once you are happy you know everything about a slot you can then play them for real money where all wins and losses will be for real! 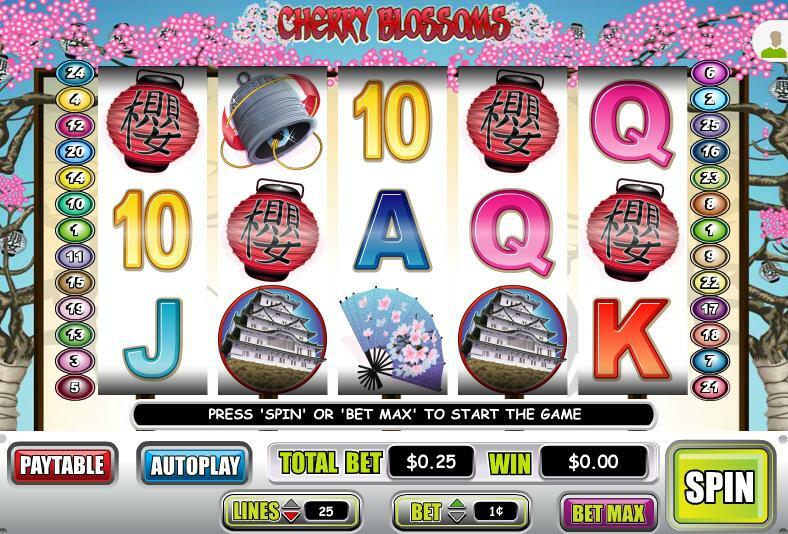 The Cherry Blossoms slot machine can be a high paying slot but we always advise slot players to play only the types of slots they enjoy playing the most, and there will be lots of different low stake slots available to you at each of the casinos we have showcased throughout website, so have a look around!